Thank you for downloading this episode of KDOI Podcasting, Kimo’s Den of Iniquity, hello my name is Timothy Kimo Brien head instigator here and now in your ears. I am so glad you are here for season 2 last project A Place For Everything : Bookcase Project. So we have done about 12 episodes and thank you for coming along on this journey. I have made some beautiful mistakes along the way, I have double counted steps and I have one project I was unable to complete on time. Life happens, but you know what, I will complete that project because it is important to me. If you were unable to complete your projects no worries, take your time, listen to the episode again and knock it out. Guess what, you can listen to the episode a year later and still do it, no worries I plan on sticking around for a long time, and I welcome you to do the same, one way to do that is to reach out to me via email kdoipodcasitng@gmail.com, twitter @kdoi_podcasting Instagram @kdoi_podcasting and my facebook page TKBrien72. Create your own sculpture with found objects around the house. Needle in a haystack will aspire you to look at common objects in a new light and experiment with design and art. Look around right now, can you make a sculpture of your own with what you have there. We did with a dead bolt, you can to. My original idea was to cut up some trees that fell down in a recent storm, but our deadbolt to the front door broke. So being the handy man I am, I went ahead and took out the old and put in a new one, then I called a lock smith and had them fix what I had broken. It happens. 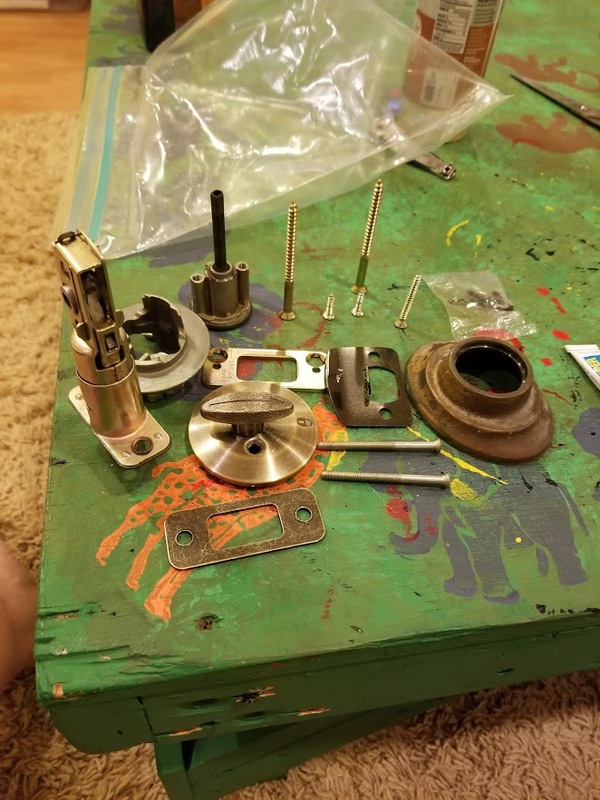 I told the locksmith I wanted the parts as he was going to take them and hopefully recycle them. He looked at me a little odd, but said have at it, and I did. Today’s episode we present 4 pencil/crayon/charcoal and lead drawings. I originally saw this technique on an artist website where he was making psychedelic drawings and broke down how they were done. So that is our project for this episode. These drawings are a lot more fun than Adult coloring books that are the current fad. These drawings will be wonderful gifts to give, personalize for your loved ones or freneds and you will be proud to display them. Also depending on how detailed you want to be they can be done fairly quickly.